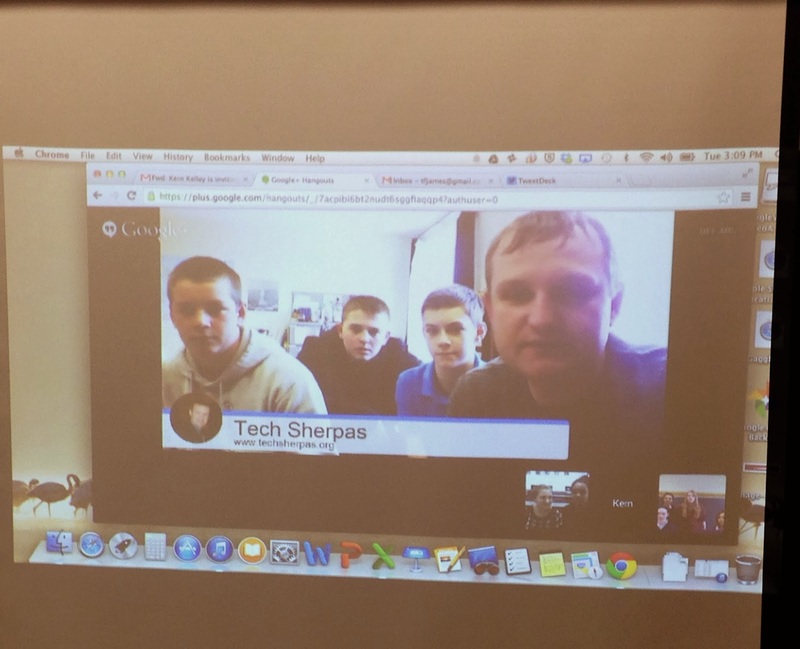 My experience having a Google Hangout with the Tech Sherpas and Genius Squad was eye-opening, interesting, and fun. It was very exciting to actually see and talk to other tech groups from different parts of the country. It’s amazing to think that there are groups in Maine, Minnesota, (and undoubtedly other parts of the US) that have similar goals in assisting students and teachers with technology as the iWizards do. Using technology has definitely evolved education and life as we know it. While talking to the Sherpas and the Genius Squad, it was interesting to discover what they themselves have learned from educating technology. Finding out how the tech members reach out to students and teachers, overcome obstacles, and tips from their own experiences, was intriguing. It gave perhaps some ideas on how the iWizards can make our own technology group better. All in all, the Google Hangout with these two groups was fun. The atmosphere was enjoyable and I sincerely hope that their will be more Google Hangout like this one in the future. I think that more tech groups, like the Tech Sherpas, Genius Squad, and the iWizards, should keep sharing updates, solutions, and pointers with each other as technology continues to develop at a ever so faster rate. 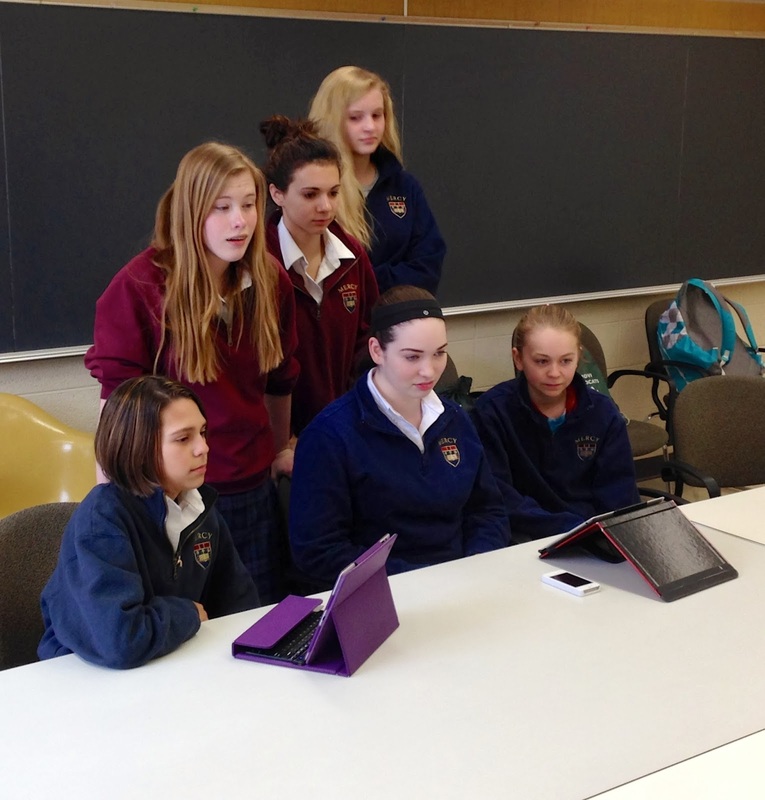 This entry was posted in Mercy iWizards. Bookmark the permalink.